Home » Seeing the Planets » Alignments of the Planets » Jupiter and Venus Draw Close! Throughout the month of June, Venus and Jupiter have been drawing closer with each passing night. But the closer these two planets get, the more change you will observe with each passing night! 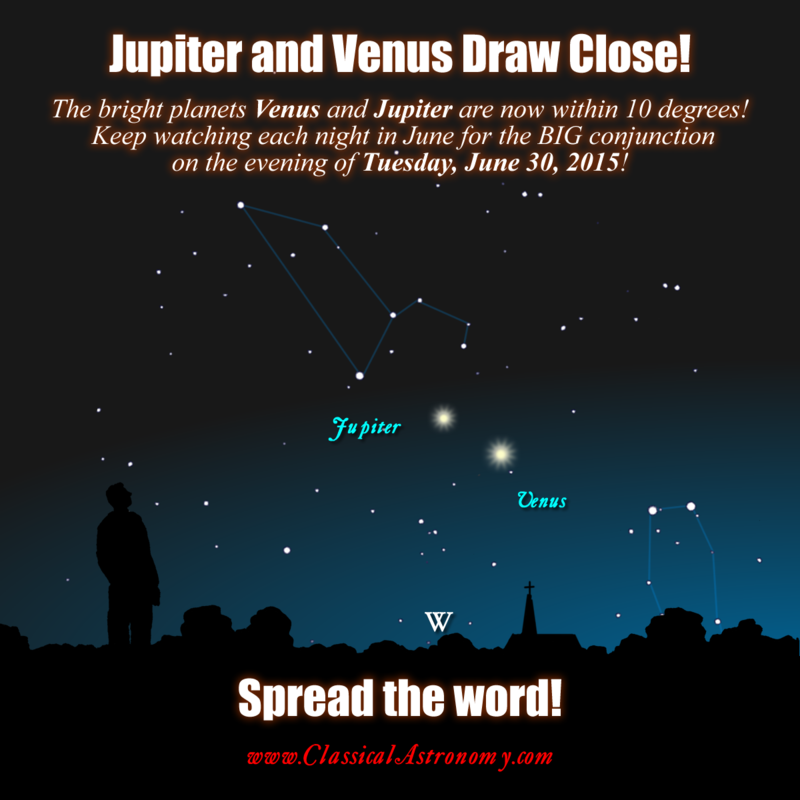 By the evening of Monday, June 15, Jupiter and Venus will be separated by only 10 degrees! If you hold out your fist at arm’s length, Jupiter and Venus will barely fit in between that span! But this gap between the planets will narrow noticeably every night throughout the second half of June! PLEASE SHARE!!! DON’T MISS THIS!! !